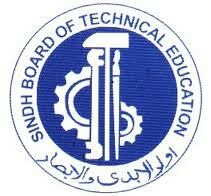 Karachi, Sindh Board of Technical Education Karachi has announced the SBTE D.Com result 2018. The candidates, who appeared in their SBTE Diploma of Commerce annual exams 2018, they can get the latest updates regarding their SBTE D.Com part I & II result 2018. According to the detail of SBTE D.Com part I & II result 2018, total 1802 students appeared in their SBTE Diploma in Commerce annual exams 2018 and 1528 students passed this SBTE D.Com part 1 & 2 result 2018 with the passing percentage of 84.59%. The students will check the detailed information of SBTE D.Com result and they will get their marks and status in their D.Com result 2018.